Though the weather had turned a little gloomy by the time the coin auction began, this did nothing to deter buyers. The auction room was well attended with over 460 lots for buyers to choose from. Viewing of the lots was also excellently attended in the three days prior to the auction, with our viewing rooms being particularly busy on the morning of the sale. 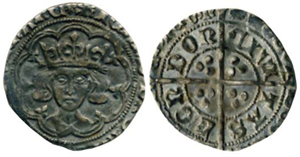 We began with British coins and the hammered section, which offered this Edward III noble, and half noble which sold for £796 and £1062 respectively, including buyers' premium. 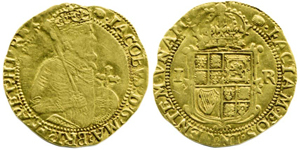 Also extremely popular was this hammered gold James I unite which achieved £796. 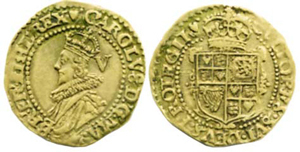 One of the smaller hammered gold coins you can find, this Charles I gold crown, graded as ‘nearly very fine’, sold for £649. Unusual, because of his relatively short reign, this Richard III groat, graded as ‘very fine’, with a good portrait, achieved a tremendous £507 including buyers' premium. 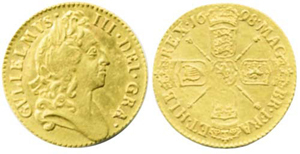 Moving onto the milled coins section, lot 399 was this William and Mary 1691 five guineas gold coin, which sold for an amazing £2,301 despite being from a mount and being brightly cleaned. 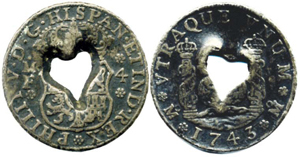 There were 8 individually lotted guineas offered in this auction, including this 1698 half guinea which sold for £826. This 1785 guinea, graded as ‘extremely fine’, achieved £944, and this 1798 guinea, also ‘extremely fine’, sold for £826. There were also two 1847 Gothic crowns on offer in this sale, arguably one of the most beautiful British coins every produced. Lot 428 was graded as ‘about uncirculated’ and sold for £2,832 including buyers' premium. Lot 429 was graded at ‘nearly extremely fine’ and sold for a respectable £1,357. 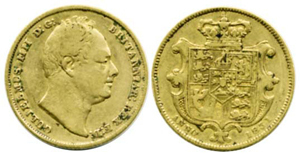 This 1831 sovereign was lot 462 in our Investment Gold section, and sold for £678. 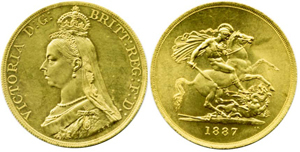 This 1887 £5 to 3d set in a fitted case, achieved the excellent price of £3,422 including buyers' premium. 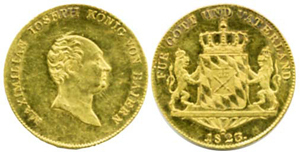 In the world gold section, this German States Bavaria 1823 ducat realised £542. There were two lots of Indian 1841 mohur gold coins which sold especially well, with lot 571 selling for £708, and lot 572 achieving £483. The Token section was particularly strong in this auction, with items lotted as collections and individually. All of the 13 lots available achieved results well above estimate. 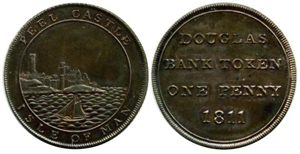 This unusual Isle of Man 1811 bank token, lotted individually as lot 633, sold for £224. A lucky medallic issue collector paid £2,832 for lot 655 which was a 1937 Coronation official gold medal by P. Metcalfe. 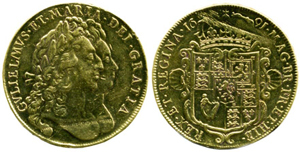 Highlights of the world coins section included this Martinique 1764 4 reales which achieved £483. 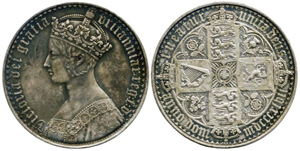 Two lots of Scottish coins were also offered, with this James V groat selling for £619, and this 1567 two-thirds ryal achieving £448. 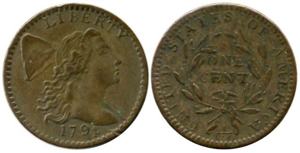 Coins from the USA were particularly sought after in this sale. Lot 749, a 1794 cent, graded as ‘good fine’, sold for an amazing £4,720, which was more than 8 times over the estimate! The Ancient coin section drew the auction to a close, with this Kingdom of Thrace silver tetradrachm achieving £259, and this Roman Claudius brass sestertius selling for £165. 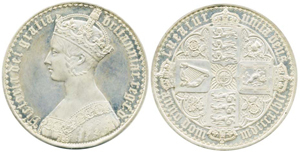 Our next coin auction will be held on Wednesday 17th June 2015. Look out for the full catalogue for this sale, which will appear on our website in the next few weeks. Also keep an eye on our Twitter and Facebook pages which will include updates of our latest auction news. Are you thinking of selling your entire coin collection or part of it? Would you like us to value your coins and banknotes and give you advice on how best to market them? Visit our coins and banknotes department page for more information.